In Warangal, were also some 10 cutouts of KCR, standing tall at 60 feet. Warangal, Telangana: At a massive public meeting in Warangal on his party Telangana Rashtra Samithi's 16th formation day, Telangana Chief Minister K Chandrasekhar Rao came down heavily on the Congress, alleging the leaders of the opposition party were creating hurdles in the path of development by taking various projects to courts. "If KCR completes Kaleswaram (irrigation project) with the same speed, north Telangana would see prosperity. If Palamuru lift irrigation project is completed with the same speed, Mahabubnagar and Ranga Reddy district would see prosperity... Then, who will vote for us (Congress), what will be our political life? So they are trying to stall that politically. They are trying (to) obtain (court) stay (on project works). 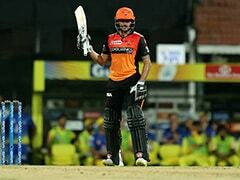 They are going to green tribunal," KCR, as the chief minister is popularly called, said. Giving a report card of his government over the last three years, KCR sought people's continued support and said he was confident of a massive victory in the 2019 elections. KCR's big speech was delivered from a huge 140 by 60 feet dais. Sixty LED screens were put up and 300 light towers, with 28 lights each, had been erected to light up the public meeting venue. 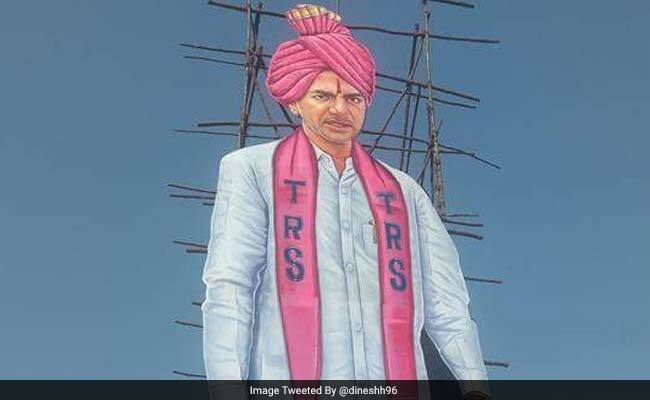 There were also some 10 cutouts of KCR, standing tall at 60 feet, besides two digital image cutouts. Expenditure for the meeting is reportedly being paid for from the so-called labour earnings of ministers, lawmakers, legislators, and party cadre. KCR had announced that the days in the run-up to the public meeting would be called 'gulabi coolie dinalu' or 'pink labour days' when funds would be raised through the earnings from voluntary work by party workers. Animal husbandry and fisheries minister Srinivas Yadav turned out to be the most efficient 'coolie' making Rs 16.5 lakh by carrying bags of grains at the market yard and doing other odd jobs. His colleague Padma Rao Goud sold fish and earned 15 lakhs. Municipal administration and IT minister KT Rama Rao made close to 7 lakhs by selling ice-cream and some soda drinks at an outlet in Hyderabad. His sister and MP Kavita sold sarees to make money and contribute to the party meeting fund. Critics ask if the ministers and MLAs would show the earnings in their Income Tax returns, and how come so much cash was readily available, to pay Rs 5 lakh for an ice-cream, for instance. For businessmen and private individuals, these were coolies they could not refuse, not bargain on the 'labour' charges. Some saw it as an opportunity to please the political leaders and develop 'useful' relationships.